A Character Victorian Property some 150 years old. 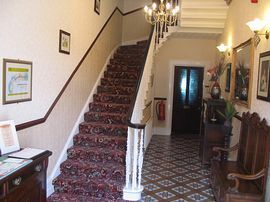 Many original Victorian features including tiled hallway ornate balustrading. A popular Grade II listed Victorian property situated within a quiet conservation area of historic Carlisle, recently refurbished to a very high standard. Just a short walk from the train and bus stations, close to many restaurants, bars and shops. Cornerways offers a selection of comfortable en-suite or standard rooms, all with colour TV and radio alarm clocks, rated 4 stars by Visit Britain, recommended by the "Lonely Planet" & "Lets Go!" travellers guides. A large comfortable guest lounge is provided for the convenience of our guests, including the provision of 'Freeview' digital TV, a selection of books and games. We provide free of charge WiFi broadband internet access for guests with own laptop / notebook PCs. An ideal base for exploring historic Carlisle, including Hadrian's Wall, the Castle, Tullie House Museum, Eden Valley, the Scottish Borders' only a short drive to the Lake District National Park. Close to Borderway market, University of Cumbria, Institute for the Arts, colleges. The M6 junction 43 is 1.25 miles away. 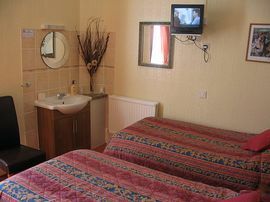 Single Rooms: From £35.00 per person. 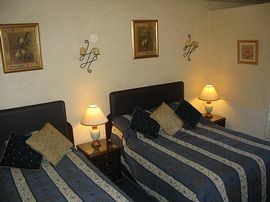 Twin Rooms: From £30.00 to £32.50 per person. 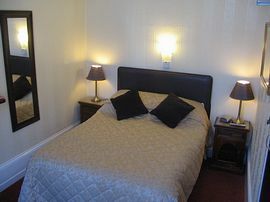 Double Rooms: From £30.00 to £32.50 per person. Family Rooms: From £25.00 per person. 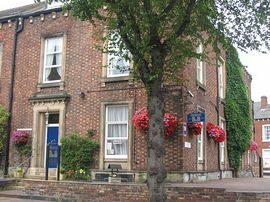 We are situated on the corner of Warwick Road & Hartington Place, (opposite St Joseph's & St Mary's Church) 1.25 miles from junction 43 of the M6. From the M6 follow signs for 'Carlisle City Centre' & 'Railway Station,' this is the A69 Warwick Road, continue along this road, we are located further along this road on the right hand side. Turn left out of the Bus Station onto Lonsdale Street, walk to the end of this street, cross over the road into Chiswick Street, Cornerways is located some 300 yards at the end of this road on the right hand side.